CatzRUs charges R800!!?? Why should I pay R800 when I can get a kitten for free on Facebook!!?? 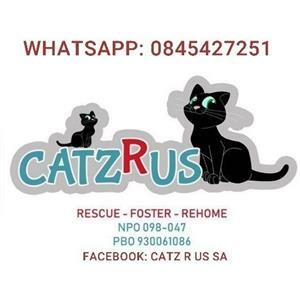 CatzRus Rescue Team (NPO 098-047 PBO 930061086). We turn heartache into happily-ever-afters. Adopt kittens or cats. Get an email notification for any Results in Pet Adoption in Centurion when they become available.